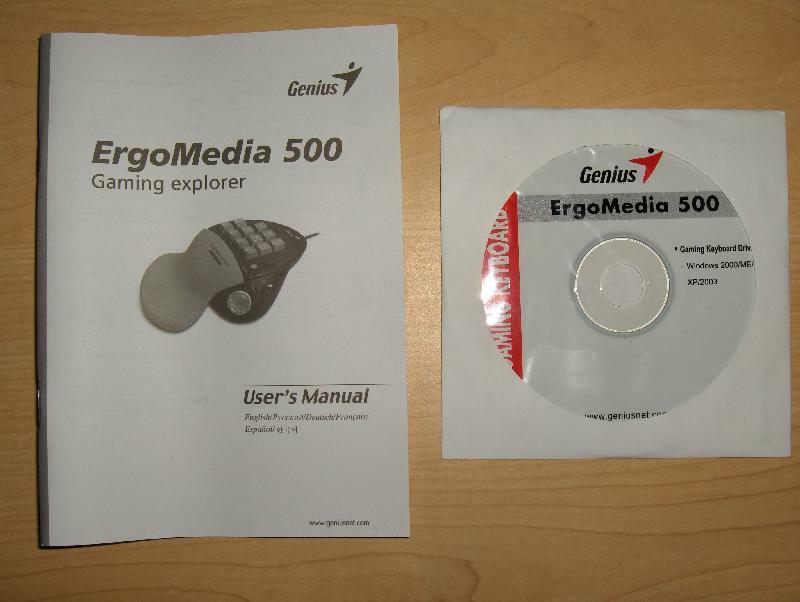 Genius, a computer peripheral manufacturer, has recently sent us their ErgoMedia 500 Game Pad. From the first glance, this device seems to be well designed and looks as if it would be comfortable. 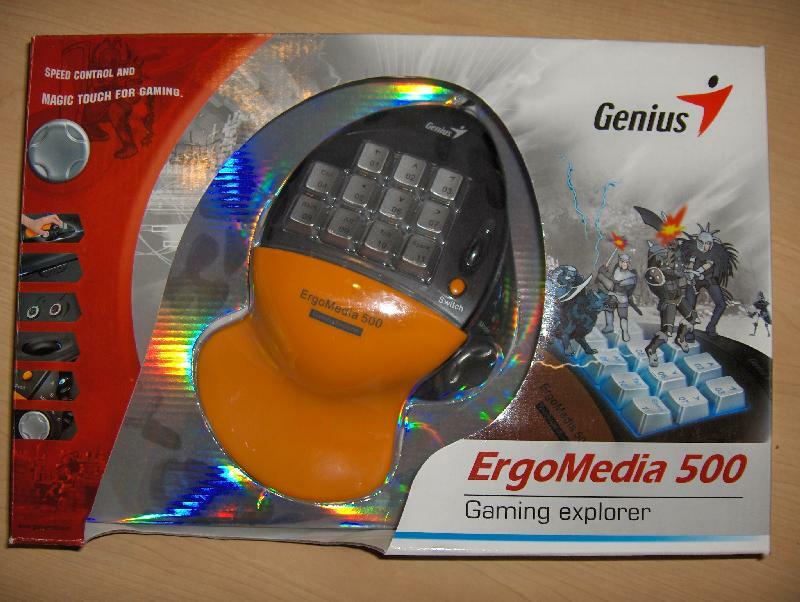 Genius says that the “ErgoMedia 500 is a gaming key pad that turns you into the best game player with the most clear and simple settings that you can use in various games. For game addicts, the unique hand shape design helps support your palm for long time playing. Special keycap backlighting makes sure all keys are highly visible even at night; and you can even chat online with the built-in earphone and microphone jacks. Three different game settings help you quickly search for your weapon, equipment, or any desired target. An additional switch button lets you switch between games instantly.” During this review we will test this device and see if it’s truly what genius claims it to be. 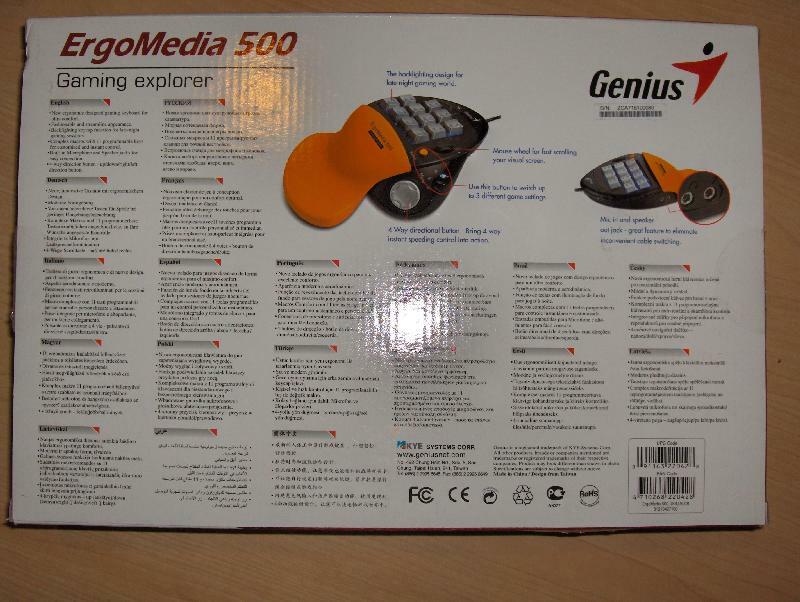 The ErgoMedia 500 came packaged in a rather stylish box. On the front, it has listed a few features along with a cutout in the cardboard allowing the customer to see the gaming device. On the back, it has a features list which in several different languages. Backlighting keycap function for late-night gaming sessions. 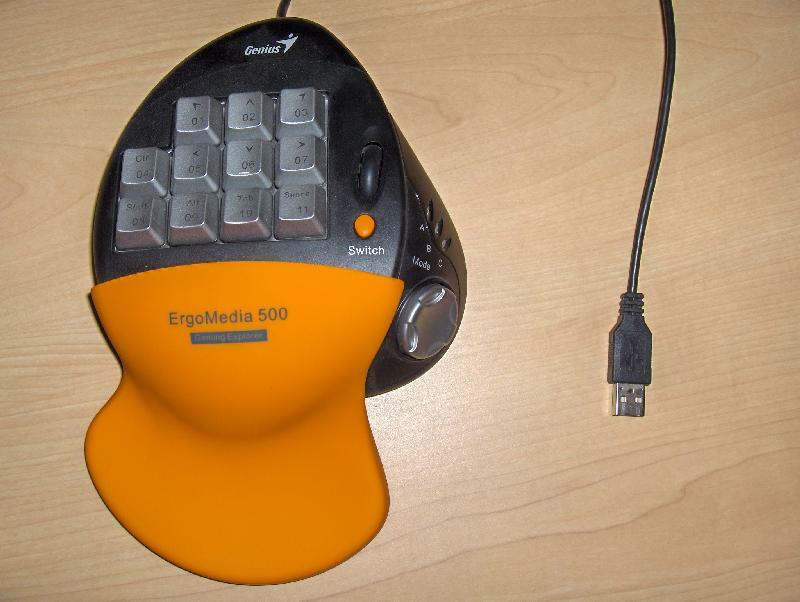 Complex macros with 11 programmable keys for customized and instant control. Built-in microphone and speaker jacks for easy connection. 4-way direction button – up/down/right/left direction button.